Whether you define outdoor fun as pedaling alongside a canyon drop-off or hiking a nature trail past wildflowers ablaze with color, these 12 state parks hold the ticket to fresh air activities. 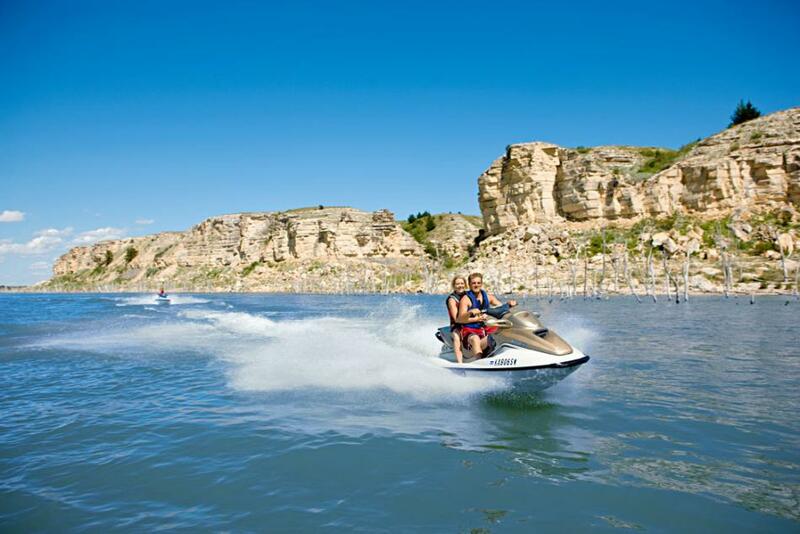 The 5½-mile Horsethief Canyon Trail crosses meandering streams as it weaves in and out of rocky Dakota sandstone canyons dotted with craggy cliffs and small caves. A less demanding 3-mile loop ambles through meadows of blooming wildflowers and past yucca plants before climbing sandstone slabs to a hilltop offering views of the prairie. Seven hiking trails within this park snake their way through the southern Flint Hills. The 2-mile Double Black Diamond trail zigzags through the timber along the ¾-mile Teter Nature Trail, which leads to a stand of papaw trees around El Dorado Lake. Interpretative signs along the mile-long Ancient Trees Trail identify several centuries-old oaks here in the Chautauqua Hills. The adjacent Toronto Wildlife Area contains additional photo-worthy scenes on trails that cut through grasslands and marshes populated with deer, songbirds and wild turkeys. Anglers snag white bass on the reservoir and catch trout on the small lake in the forested River Pond area. Numerous canoes, kayaks and pedal boats (available for rent) allow visitors to explore coves and tallgrass prairie along the shoreline, making this the unofficial Paddle Sport Capital of Kansas. 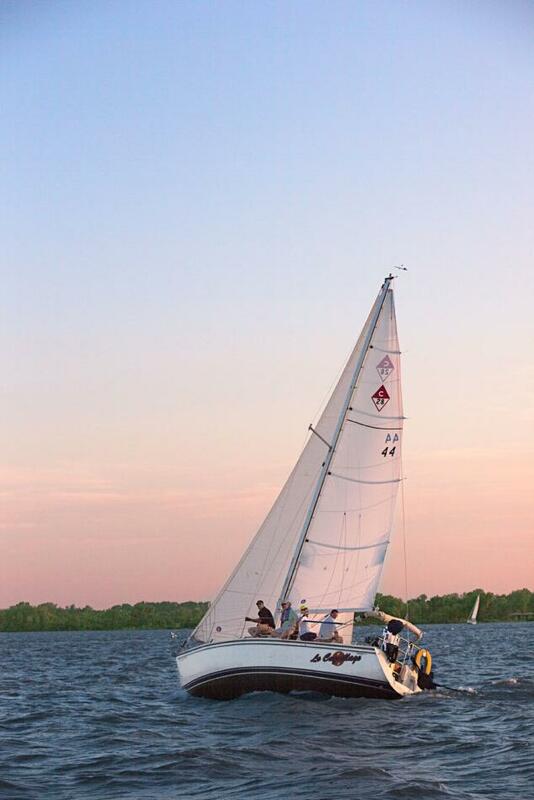 Steady breezes have made Cheney Reservoir one of the nation’s top windsurfing and sailing lakes. Dozens (and sometimes hundreds) of colorful sailboats grace the lake during regattas, creating an exhilarating sight for those relaxing on the sandy beaches. 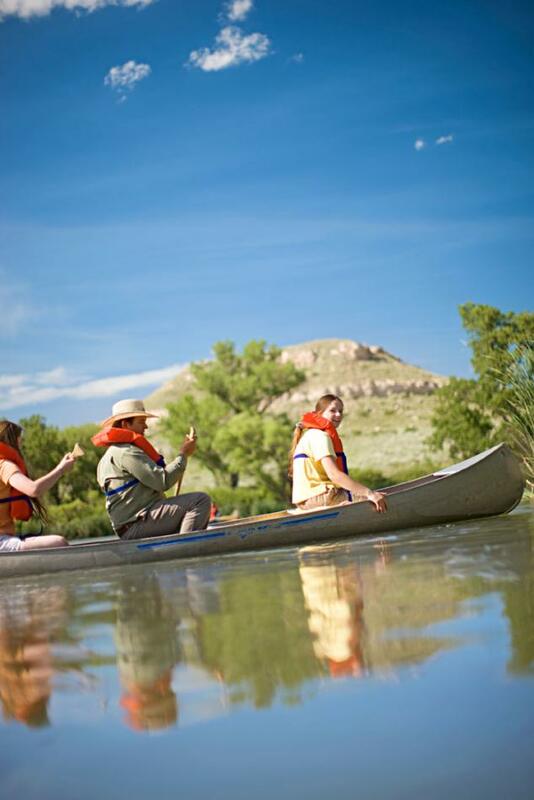 Launch canoes, kayaks and other small crafts from Kansas’ only free state park. 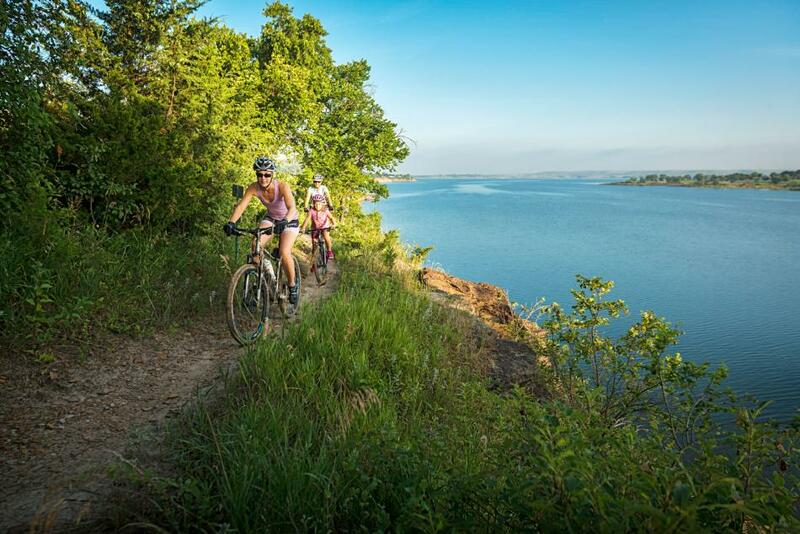 Also the only urban park in the state park system, the area features hiking and mountain biking trails on the south bank of the oak- and hickory-lined Kansas River, within 5 miles of downtown Topeka. A pristine swimming beach lures families to the spring-fed fishing lake with canoe and pedal boat rentals. History-lovers discover El Cuartelejo, the remains of the northernmost pueblo in the United States, before settling into campsites snuggled up to rocky bluffs and wooded areas. The mostly untouched Page Creek Area, with its sandy shorelines and jagged limestone bluffs on the reservoir’s south shore, draws campers seeking solitude. Visitors windsurf, water ski, pitch horseshoes and play sand volleyball in the Bluffton Area on the north shore. The park also offers wheelchair-accessible fishing. Four modern cabins and two yurts, plus more than 100 electric and primitive campsites set among woodlands and prairie, provide a variety of options at the park named for native Kansan Dwight D. Eisenhower. Stop by Ike’s General Store at Doud Campground for souvenirs, and play at the nearby disc golf course, sand volleyball court and horseshoe pits. Red sandstone formations with 40-foot drop-offs—plus steep mountain bike climbs and dips—bust the myth that Kansas is flat. The 25-mile Switchgrass Trail, known as the Roller Coaster, received an Epic Trail designation by the International Mountain Bicycling Association. Less seasoned cyclists are comfortable riding the flatter 2½-mile loop from the trailhead. Sightings of white-tailed deer, turkeys, cranes and songbirds are pretty routine for mountain bikers winding along Clinton Lake’s north shore. Two trails comprise the 25-mile system: the Blue Trail for novices and the White Trail for more advanced riders. Ride the spur to downtown Lawrence for lunch. Cyclists spot patches of blooming wildflowers on a ride through tallgrass prairie, sprawling farmland and wooded ravines along the 51-mile trail. Nine small towns line the wide, mostly flat hard-packed limestone path built on a former railbed. The connecting Southwind Rail Trail extends the journey 9 miles to Humboldt. The great outdoors don’t stop here! Find a full lineup of alfresco adventures at TravelKS.com/things-to-do, then check out the 2017 Kansas Official Travel Guide for more great attractions.